“Lift Every Voice and Sing” is a song first written as a poem in 1899 by James Weldon Johnson (1871-1938). It was Weldon’s brother John Rosamond Johnson who set the poem to music. The poem was first spoken aloud by several hundred schoolchildren on February 12th, 1900, at the segregated Stanton School in Jacksonville, Florida, where James Johnson was principal. The recital of the new poem was meant to honour both visiting guest Booker T. Washington – and Abraham Lincoln, whose birth date fell on the same day. 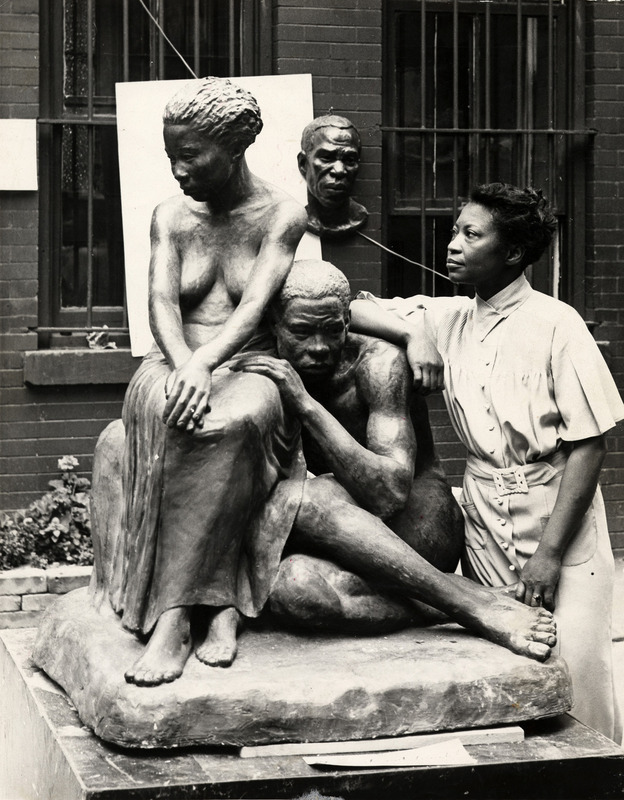 Augusta Savage (1892-1962), a Florida sculptor (born near Jacksonville) who grew artistically / worked in New York City during The Harlem Renaissance, was commissioned in 1939 to do a monumental plaster work for the New York World’s Fair. “The Harp” was strongly influenced by James Weldon Johnson’s poem “Lift Every Voice and Sing”. The 16-foot tall piece was exhibited outside the Contemporary Arts building where it received much acclaim. 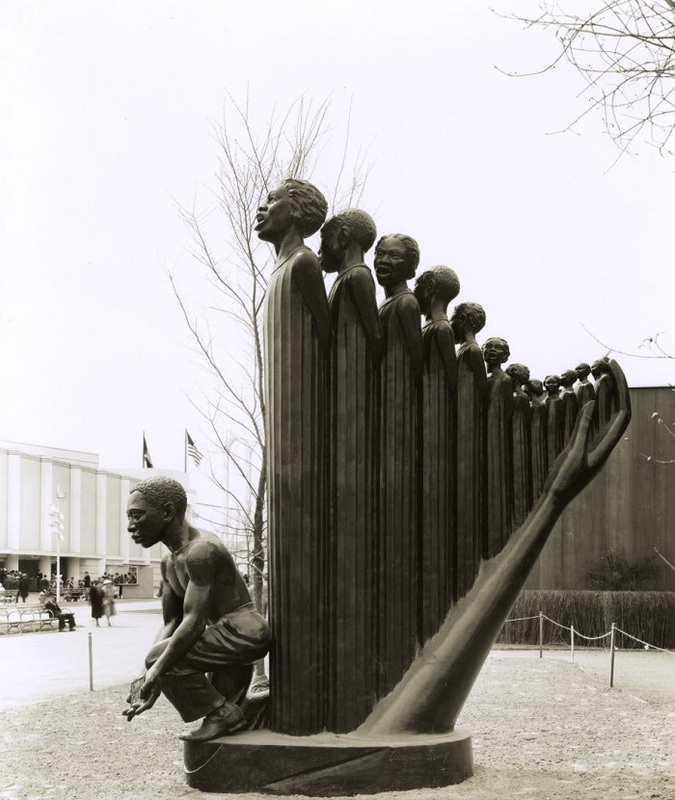 The sculpture depicted twelve stylized Black singers of graduated heights that symbolized the strings of the harp. The sounding board was formed by the hand and arm of God, and a kneeling man holding music represented the foot pedal. No funds were made available to cast “The Harp” in permanent bronze, nor were there any facilities to store it. After the World’s Fair was over, “The Harp” was demolished, like most of the event’s art.